Mo’s Ferry and Mathias Schaffhauser – our paths have crossed many times. 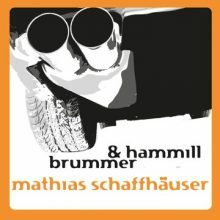 One might say an old fellow returns to the label with his new release „Brummer & Hammill“. But this is Mathias‘ first release on Mo’s Ferry, actually. Both tracks are frisky, but also focussed on the floor. Constant variation is the key. The track „Hammill“ appears almost cineastic by Schaffhauser’s courageous sue of synth lines from the analoge world. If this EP is just a prelude to his upcoming album we’re curious to see the outcome. To this very date Mo’s Ferry is happily waiting for these two tracks to be played out loud.